One.. two.. three donuts! 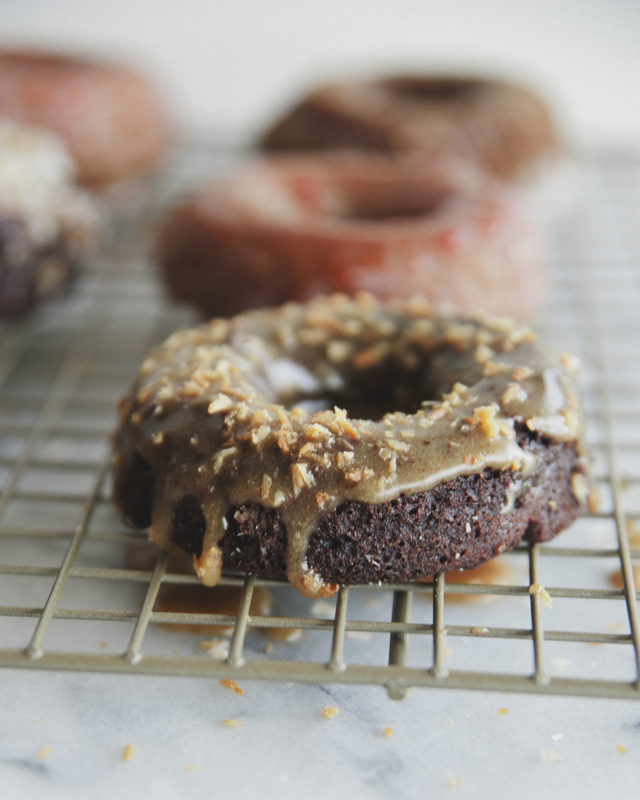 We are sharing three of our favorite donut recipes with you today. 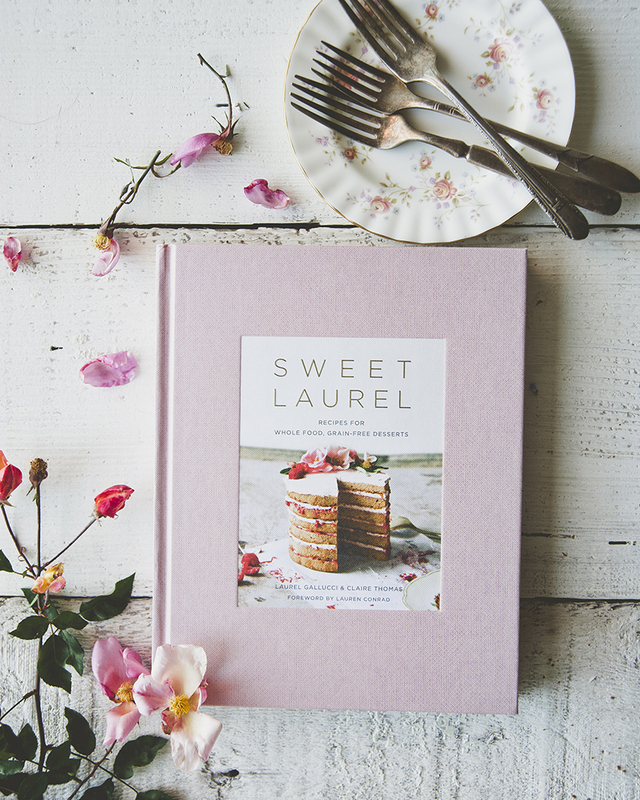 We figured those kiddos deserve a little Back to School treat, right? Our Apple Donuts are optionally sweetened and so delicious. 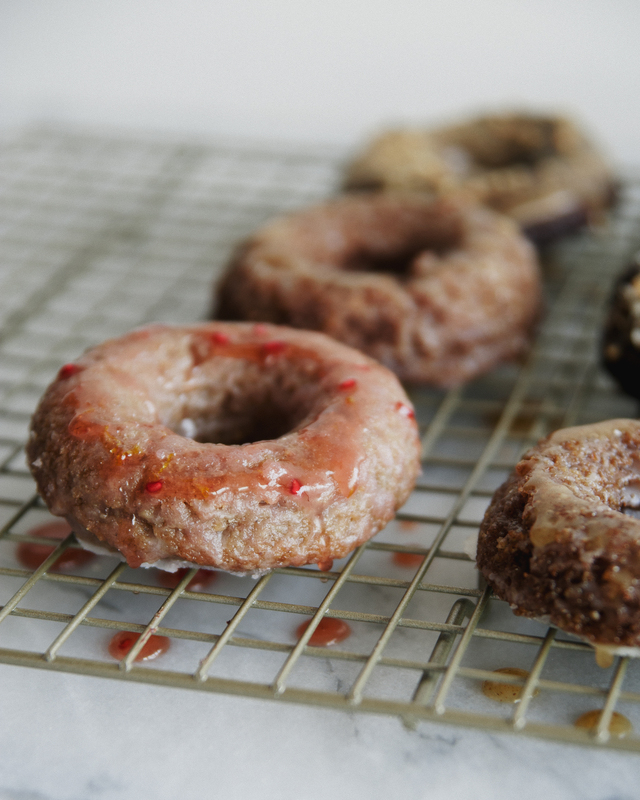 Raspberry Glazed Donuts are dainty and simple, while our Samoa Donut is for the true chocolate lover in your life. Try one, try all! You will not be disappointed. Enjoy! Preheat oven to 350°F. Generously grease a 6-cavity donut tin with oil; set aside. In a small bowl, stir together the blanched almond flour, cinnamon, ginger, baking soda and salt;. In a large mixing bowl, whisk together the egg, egg white, coconut milk, applesauce, melted coconut oil, vanilla and Optional maple syrup until well combined. Add the dry ingredients to the wet and use a spoon to thoroughly combine. Then, carefully spoon batter into the prepared pan. Bake for 16-18 minutes, until donut springs back when touched. Remove from oven and allow the donuts to cool in the pan for 1-2 minutes. Whisk all ingredients together until smooth paste is formed. Dip donuts into glaze. Allow to rest on counter about 5 minutes. Dip donuts again if desired. Preheat oven to 350 degrees Fahrenheit. 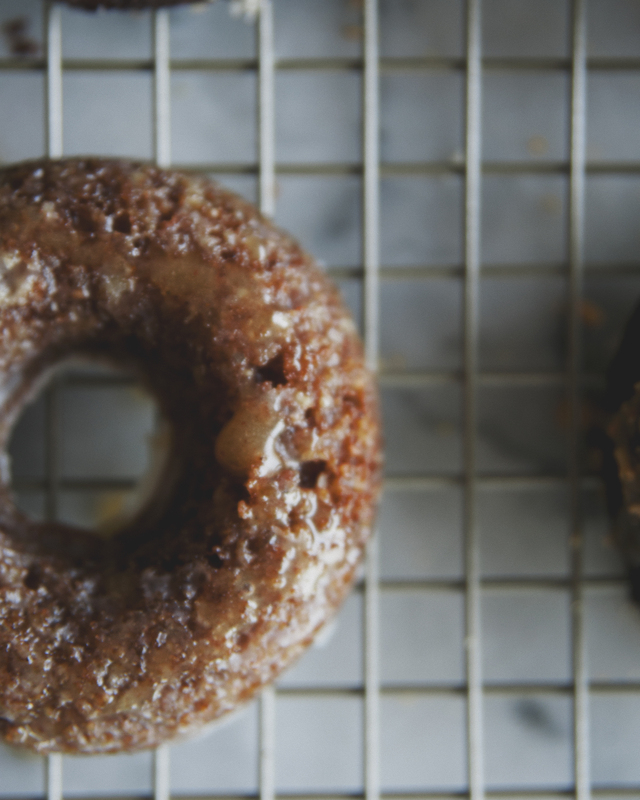 Generously grease your 6-mold donut pan with coconut oil. Combine the dry ingredients in a medium bowl. In another medium bowl combine all of the wet ingredients except egg whites. Mix the wet with dry and set aside. Beat the egg whites until firm peaks form. Gently fold the egg whites into the batter. Equally distribute the batter between the 6 donut molds. Smooth out the tops of each donut. Bake for 12-15 minutes until lightly golden. 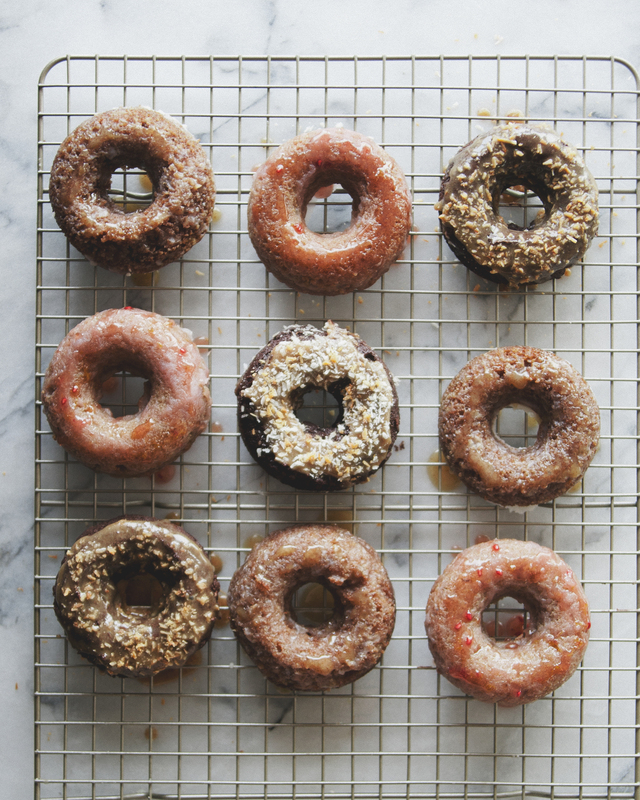 Allow the donuts to cool, remove from pan and then chill in the fridge for half an hour. Whisk all ingredients together until smooth paste is formed. Spoon raspberry mixture into paste. Stir. Dip donuts into glaze. Allow to rest on counter about 5 minutes. Dip donuts again if desired. Preheat oven to 350 and prepare donut molds but greasing generously with coconut oil. Mix dry ingredients and wet ingredients in separate bowls. Add the wet to the dry and stir. 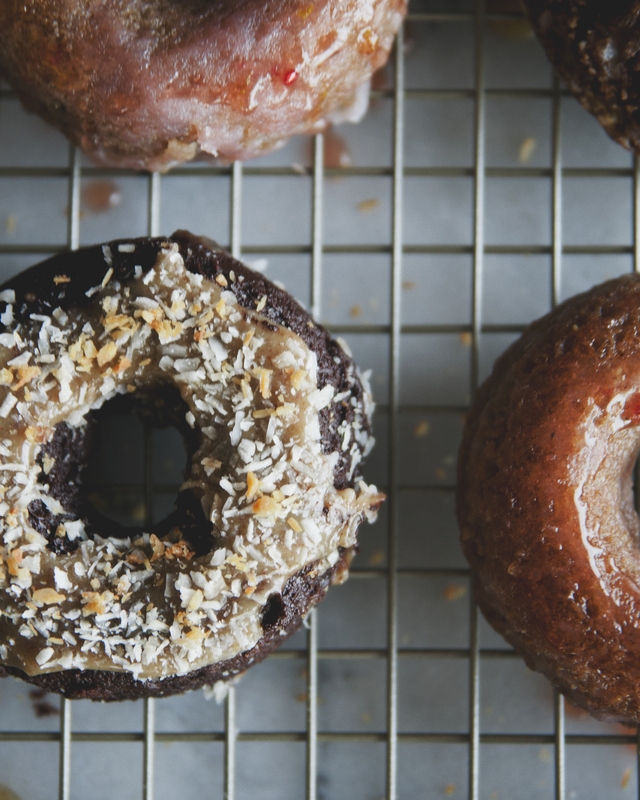 Pour into donut molds. Bake at 350 for 15 minutes. Allow to cool, them top with vegan caramel and toasted coconut. 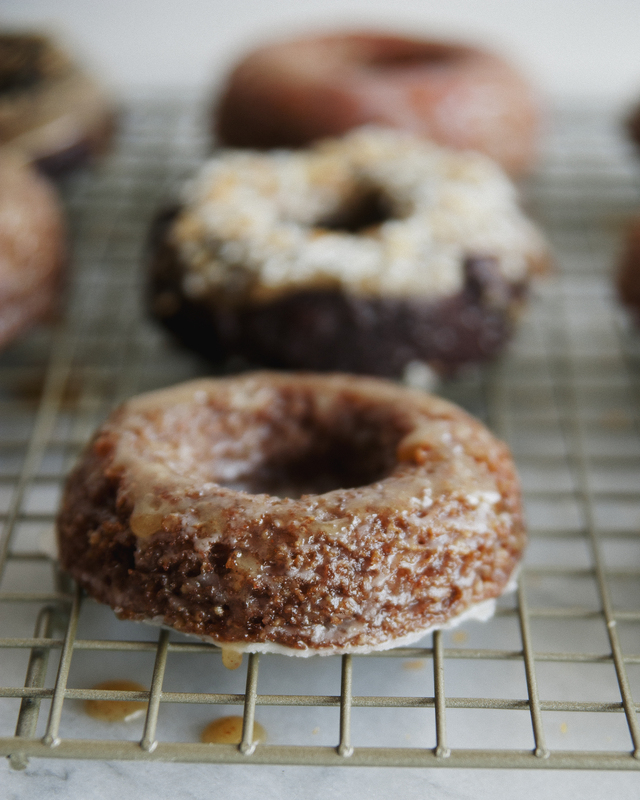 This entry was posted in baking, breakfast, dessert, snacks, Uncategorized and tagged almond flour, apple donuts, apple sauce, back to school, chocolate, cocoa powder, coconut, coconut butter, coconut milk, coconut oil, dairy free, dairyfree, donuts, easy, gluten free, grainfree, hazelnut flour, himalayan pink salt, maple syrup, paleo, raspberries, raspberry glazed donuts, refined sugar free, samoa, samoa donuts, shredded unsweetened toasted coconut, sweet laurel, sweet laurel vanilla extract, sweetlaurelbakery on September 9, 2016 by sweetlaurel.